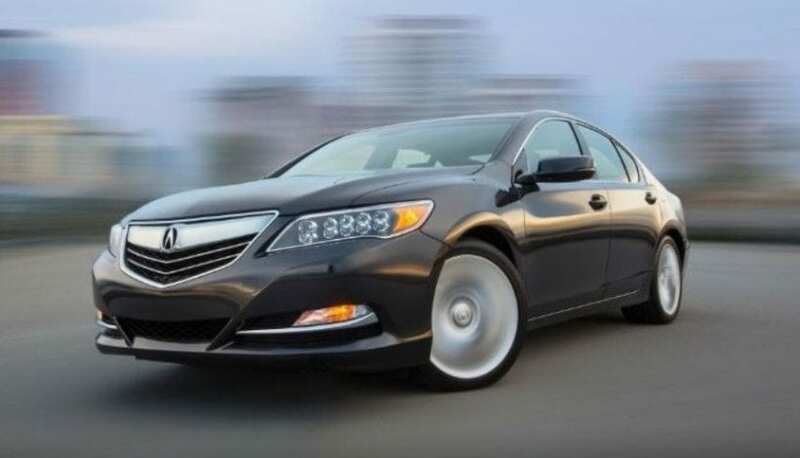 If you ever went shopping for executive or mid-size luxury sedan, we bet you haven’t ended up with RLX. Previously named RL and in Europe sold under plain Honda badge as Legend, it hardly managed to reach four-digit number in annual sales, some years even staying in the realm of two digit ones on the old continent. That would be the main reason why current RLX don’t populate European dealerships, plus on top of that, sales in the US are far from decent ones too. So, let’s see can we recommend 2017 Acura RLX to you. The current model was introduced in 2013 and facelift hasn’t happened yet. That means that beak shaped grille is still there, unlike on new MDX, which kind of spoils general feeling about the fascia. Jewel Eye LED headlights are gorgeous, with crystal looking lenses arranged in two rows and that is basically only special visual part of it. Rear end and overall body shape are quite plain, leaving you with indifferent feelings about it. It just misses some special touch to attract you to it. Mercedes E-Class and Lincoln Continental have that aristocratic touch to it, BMW 5 Series is athletic looking, Cadillac CTS is sharp, Infinity Q70 is curvaceous, Lexus GS berserk, RLX is just dull. Interior also lacks lavish effect of many rivals, and you can’t even try to compare it to Merc’s or BMW’s entrants. We can obviously see Honda interior clues there, and that is not good in this case and honestly in any Acura models case, but sadly this is what we see all the time with it. Build quality is also far from special as well as used materials. Seats don’t offer enough of support while also lacking in cushiness. Two touch screen solution on the dash is just mindless, and it doesn’t work well, not here, nor in Infiniti. Upper screen has worse resolution than the lower one, which irritates visually, one is controlled by touch, other by the knob, without any meaningful goal behind that and both are slow to react and ask lots of time for adaptation to them. 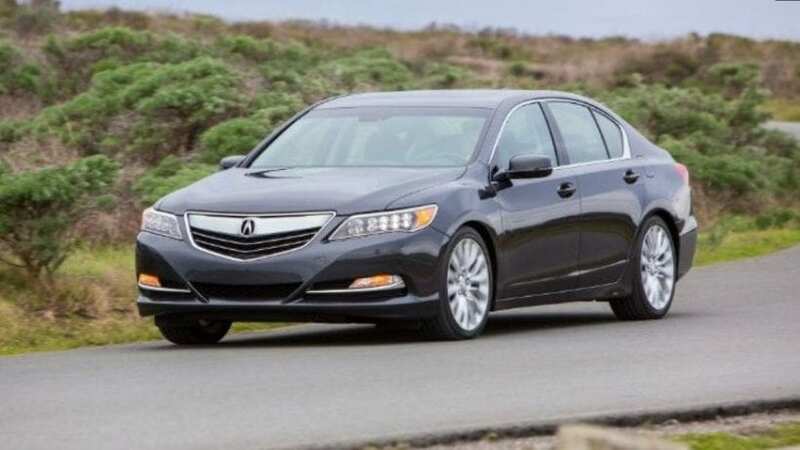 You can have your 2017 Acura RLX with 3.5-liter naturally aspirated V6 delivering 310 hp and 272 lb-ft of torque, mated with 6-speed automatic, transferring power to the front wheels, but you shouldn’t. First of all, FWD in this class is another appalling thing about it, so take a look at hybrid which instantly comes with AWD and torque vectoring. Also, the hybrid uses the same V6 and adds three electric motors, ending up with better power figure of 377 hp 341 lb-ft and 0-60 time of 5.1 seconds or 0.7 seconds faster than the petrol version. That is also thanks to much better 7-speed dual clutch automatic. Both of these can be equipped with four-wheel steering, named P-AWS for the regular version and SH-AWD for hybrid one, which does help with cornering but hardly makes it anything close to Caddy CTS or Lexus GS. Further to that steering feel is artificial, and the ride is firm with the regular version, so another point for a softer hybrid. If it can’t corner properly anyway, let it be at least more comfortable. 2017 Acura RLX is a thing to be avoided in short. For starting price of $55k you have plenty of choice in the segment and we would even place Genesis G80 in front of it, let alone more established luxury marques. The only good side of it is exceptionally generous base Technology trim, now when Navigation trim is excluded for 2017, making somewhat “not so low” starting price reasonable, leaving only the Advance package sitting above that. If you are really keen to take Acura, go for much better MDX. If you are still so stubborn to desire sedan than at least go for hybrid and its dual clutch gearbox, more powerful drivetrain and much better fuel efficiency, only costing you around 3 cu ft of cargo space and less than five grand more.